Have you signed the MDG 20th Anniversary Guestbook yet? If you haven't yet checked out the 20th anniversary page of the newly redesigned MDG website, be sure to pay us a visit. We are hosting a special anniversary section throughout 2015 to celebrate our history and the people and projects that have contributed to our success. In addition to the timeline items below, view more of our history and check out Throwback Thursday photos in the galleries and on our social media pages. 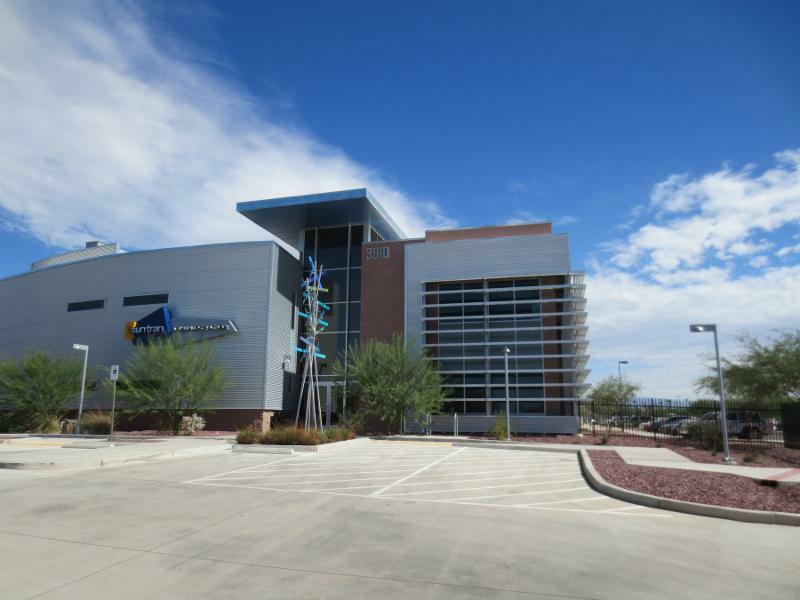 MDG began work on the SunTran Bus Storage and Maintenance Facility in Tucson, Arizona. This project was construction in multiple phases over 14 years. MDG began work on the City of Denver Central Platte Public Works Campus. Just this year, MDG commenced additional planning work to add more departments to the campus..
MDG began work on the Los Angeles Metro Expo Rail Line Operations and Maintenance Facility, which is due to complete next month! MDG topped 650 projects since the firm began in 1995. Where in the World is MDG? A sampling of our current projects and locations. 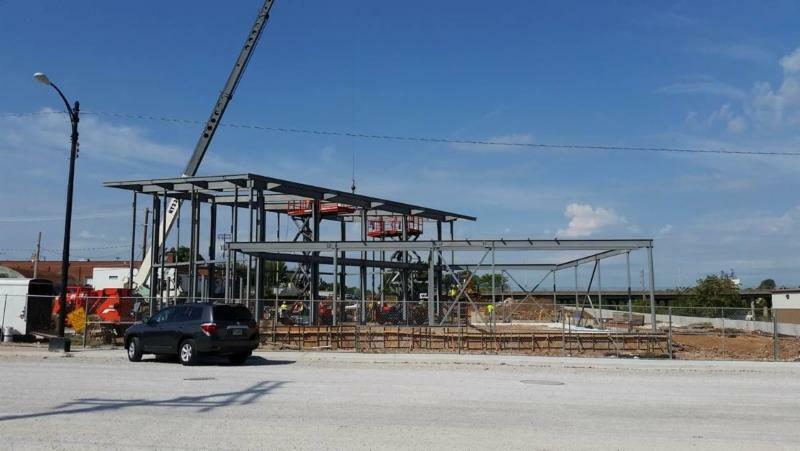 The new Springfield, Missouri, Downtown Transfer Station is under construction! MDG assisted H Design Group with the planning and concept design for this project, which will serve as a central hub for up to 14 bus routes provided by City Utilities (CU) Springfield's transit provider, as well as taxis, and other possible connecting routes. The facility includes covered bus berths, real-time digital route and schedule information displays, offices, driver relief areas and amenities, bus passes and ticket sales, a passenger waiting and warming area, a large meeting room, and employee parking. The outside area of the station is designed for maximum visibility, efficiency, and convenience. The unique sloped design of the canopies in the waiting area will also help to cut down on the noise from the vehicles, allowing the noise to travel up and out, while also allowing rain water to run off into collection systems and rain gardens. As part of the annual Maintenance Design Group Facility Designer meeting, MDG technical staff toured two new Los Angeles Metro operating divisions nearing completion. These tours and their meetings help improve the technical expertise, processes, and interrelationships of the firm's five offices. The facility designers and project managers toured the new Division 13 Bus Operations and Maintenance Facility in Los Angeles and the Expo Rail Operations and Maintenance Facility in Santa Monica. Both facilities are nearing completion in December. 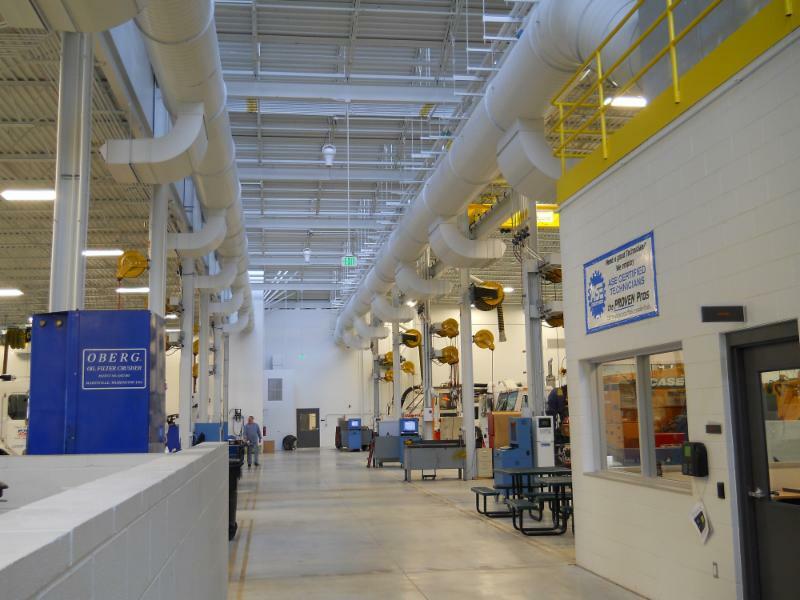 The staff spent an entire day learning about some of the leading edge sustainable and state-of-the-art equipment strategies employed in each facility. 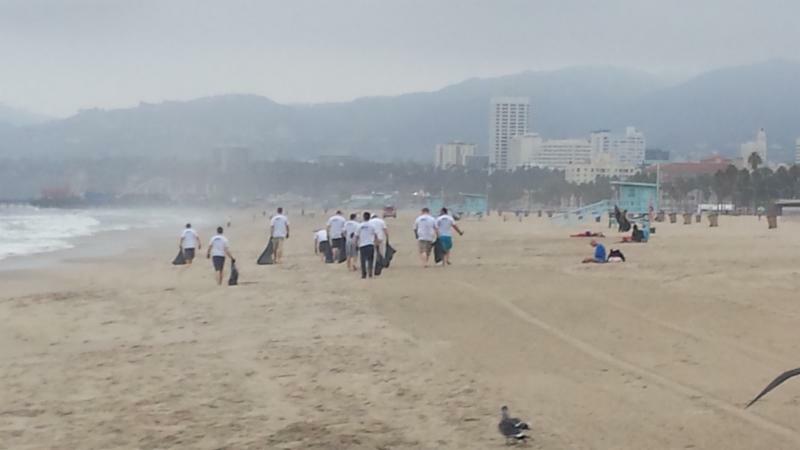 Following a day of tours and a day of meetings, the group spent the following morning cleaning up a beach in Santa Monica, showing MDG's commitment to the communities in which the firm works.